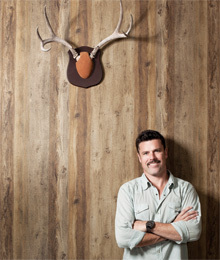 What do you think of when you see a moustache? One hundred moustaches? How about 250,000 moustaches? Well, it’s that time of year again when Movember is upon us and, in addition to growing a moustache, it’s when we focus on men’s health, a time for public and private conversations on the health risks men face. It’s also a reminder to schedule your annual physical. The dreaded annual checkup. It’s something a lot of guys think about but often don’t make the time to do it. Getting an annual check and preventative screening tests are among the most important things you can do to stay healthy. 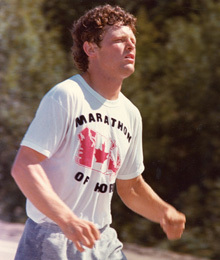 On June 28, 1981, Fred Fox and his family stood by Terry Fox’s side as his battle with cancer came to a close. He had been forced to halt his Marathon of Hope when his cancer returned, but he remained hopeful of finishing his journey back home to British Columbia. 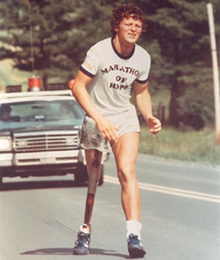 On that tragic day in June he passed away, leaving a legacy that would inspire millions to carry on his journey to end cancer during the annual Terry Fox Run. A private express elevator glides to the 20th storey of a Cumberland Street condo, opening up to Emmanuelle Gattuso’s immaculate oasis in the sky. The stark white walls of wonder act as blank canvases for contemporary artists like Tim Whiten and Barbara Steinman, leading the way to a self-fulfilling great room. It’s 10 a.m. on a mid-January morning and a thick billow of morning fog is dampening the impact of 11 foot-high floor-to-ceiling windows, which on any given Sunday would offer an unrivalled Yorkvillian view. Don’t let Yael Cohen’s clean image and faultless features fool you. 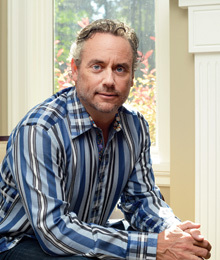 The founder of F*** Cancer is as poised and self-assured as a heavyweight champion. And when your non-profit’s name is that direct and controversial, you would certainly have to be. When he was seven, Joey Mazzucco’s life was turned upside down by cancer. At an age when play is a child’s biggest concern, Joey was placed at the foot of an ominous mountain and told to climb. It was a demanding trek, but Joey refused to judge the journey as a tragedy. There was no time for self-pity, no use in lamenting. He donned his favourite fedora, embraced the power of optimism and climbed. Why? Because there was simply no other choice. 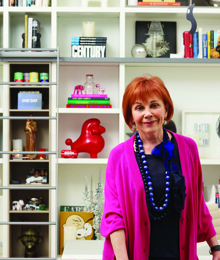 “The children at SickKids who are fighting cancer are true heroes,” says Rosanne O’Neil. On June 20th, 2009, sponsors and volunteers joined O’Neil as they dodged and dove into the summer sand for the Heatwave Beach Volleyball tournament in support of the Hospital for Sick Children. Despite the uncooperative weather, the drizzling rain did not stop these kind-hearted athletes from contributing to the cause. Raising over $1 million in the last five years, the SickKids Foundation continues its tradition of summer beach fun for the cause. 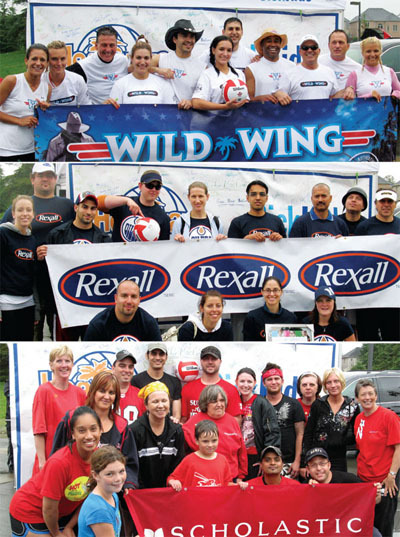 TOP: Sponsors of Wildwing proudly hold up their banner to support the Heatwave York Region for SickKids. MID: Sponsors from the Katz Group Canada Inc. proudly present their banner for support of SickKids. LEFT: Scholastic Canada Ltd. sponsors count themselves in the Heatwave Event as one of the main sponsors.